London Electrician Services - Alarms/Security, Electrician based in London, Greater London. 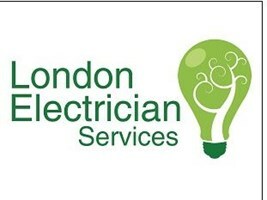 Website for FI, is www.londonelectricianservices.co.uk -- Here you can fill out an enquiry form, or request a phone call at a time suitable for you. London Electrician Services is a small local business located on the Acton/Chiswick border but carry out work throughout West London. I have 10 years' experience in the electrical industry. Although, now I specialise in small domestic projects. We also undertake commercial and industrial work. I have experience ranging From hospitals and schools, to big renovations and have helped on projects such as the Tottenham football stadium. Besides being an NIC approved contractor, I have not only completed my Level 3 City and Guilds, and BS7671 (17th edition) regulations, but also completed my EAL Level 3 NVQ. On top of this I hold my level 3 inspection and testing qualifications and produce NICEIC certificates on completion of work. I carry out all types of electrical work, small jobs to big. From fault diagnosis/rectification, and replacement of simple accessories, to large multi flat rewires. The biggest project I've been involved in was a 42 flat rewire in Sloane square, Chelsea. Personally replacing the £15,000 Mains-fuseboard powering each sub-main to the building. Regardless of where the work is, who it is for and how big the job is, the respect and quality of workmanship remains the highest standard. I pride myself on building trust and good relationships with my customers, and will be flexible in working late and weekends to suit my customers' needs. I offer free quotes, with a 1 hour charge for out of hour emergencies, my rates are competitve. All my tools and equipment are of a high standard, using the latest Dewalt range, I always advise on good brands/materials based on my personal experience. I accept Cash, Debit and Credit cards, or BACs payment. I can also supply Payment links for quick and easy payments online. I'm available to contact 24/7. Below is a full list of services that I provide, please visit my website www.londonelectricianservices.co.uk - for further credentials. Thank you for your time, Sean.